My friend, Pete from Rose City Collision in Madison, has done it again with his Candies Classic 1955 Chevrolet. There is a lovely article on it in this past Springs Chevy Magazine. Here we took the entire article and framed it along with the magazine masthead and 60th Anniversary Chevy logo. 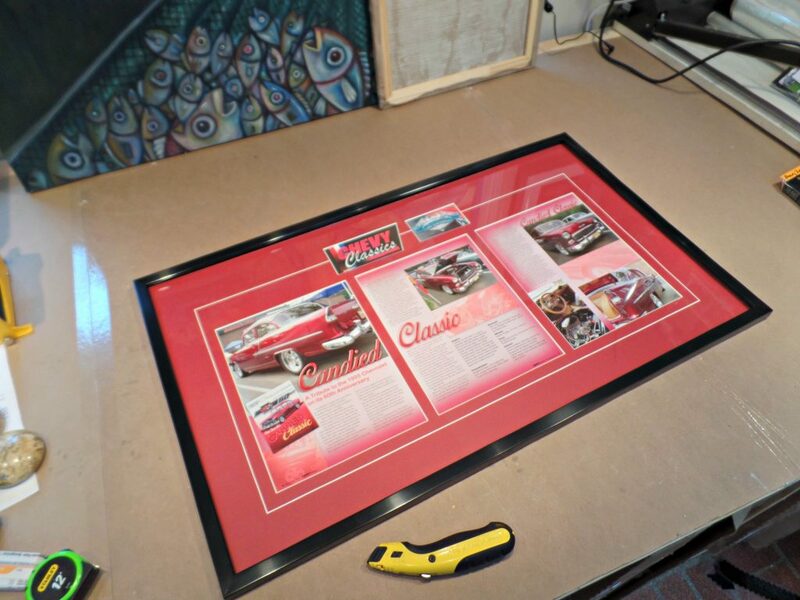 Matted in Cherry Red, we finished this one off with a Matte finished soft black metallic frame from Larson Juhl.